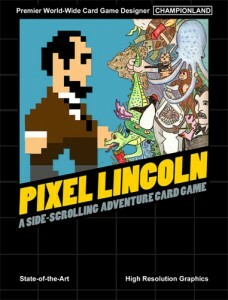 Here is the story of Pixel Lincoln: The Deckbuilding Game, which started out as a card game, then became a video game, and will now be a card game all over again. How did all of that happen? Well, it all started with a penny.